While Donald Trump appears likely to lose the election, and appears a certainty to lose New York, the emotions his campaign tapped into will reverberate in American politics long after his defeat. The anger and discontent he’s channelled and encouraged won’t evaporate with a Trump loss. Indeed, a Trump loss may instead strengthen his supporters desire for some form of radical change. Among a ConCon “yes” vote’s strongest appeals is the notion of “burn it down”; casting government into chaos for the purpose of rebuilding it more to your liking. It’s a notion deeply embedded in pro-Trump voters, fueling passionate support for a candidate wholly dismissive of government and readily translates into support for a ConCon. There’s currently a smattering of pro-ConCon supporters, but con-ConCons (“triple cons”, perhaps) start with greater political influence. At the con-ConCon forefront are public employee labor unions which, as noted above, realistically worry that eliminating the constitutional prohibition on reducing state employee pensions will be a focus of a ConCon. Labor unions led the opposition in 1997, moving public opinion from pro to con in the last few weeks before the vote. Among the pro-ConCons are good government groups such as Citizens Union and NYPIRG and, at least nominally, Governor Cuomo. He’s expressed support for a ConCon but has done little to prepare the state for a vote. Gov. Mario Cuomo created a Temporary State Commission on Constitutional Revision in 1993, four years ahead of the 1997 vote, to help voters prepare by analyzing and reporting in detail on issues for a convention to address. Such a commission has not yet been created for the 2017 vote. It’s hard to see Governor Cuomo energetically supporting a convention. First, active support for a convention would put him at odds with the con-ConCon labor unions, many of which he courts assiduously. Second, the potential free-for-all of a convention seems decidedly “un-Cuomonian.” He’s a masterful inside player widely described as seeking to tightly control the politics of any issue that interests him and eschewing political uncertainty. There’s also a wildcard element around Cuomo, however. He’s up for reelection in 2018 and a ConCon would convene in the first year of his third term. It’s possible that he decides not to run for a third term and has decreased interest in the ConCon or that he leaves New York for a position in the Clinton 45 administration. State legislative leaders appear to generally oppose a ConCon, having easily sunk Governor Cuomo’s initial budget proposal of $1 million to fund a state commission to prepare for a ConCon. A ConCon provides plenty of potential problems for those legislative leaders, particularly the Senate Republicans who hold power despite dauntingly unfavorable demographic and voter registration numbers. 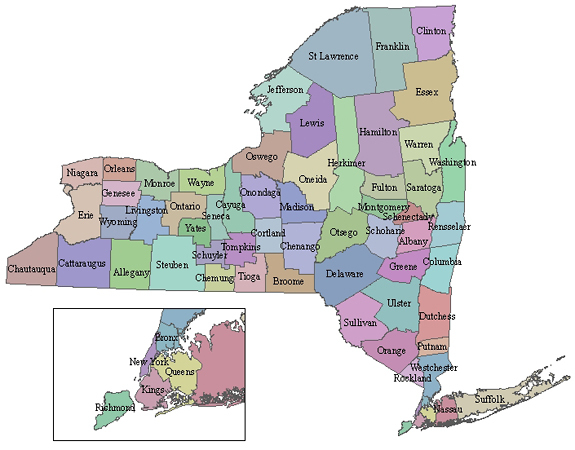 Grassroots Republicans may have a very different view, however, as long-held complaints about “Albany” can find a real world outlet in supporting a ConCon. It’s unclear what Mayor Bill de Blasio’s position will be. (I haven’t found any de Blasio public statements on the question and his press office has not yet responded to my question of what his position is. *) He also assiduously courts labor unions and is looking to them as an essential component of his 2017 reelection campaign, weighing against a pro-ConCon position. As New York City mayor, however, he’s painfully aware of the many State-imposed limitations on City authority and may well conclude that a ConCon provides a realistic chance of improving the City’s powers. He may also conclude a ConCon provides a worthwhile opportunity to create or enhance constitutional assurances of a variety of individual liberties and positive rights such as housing, education and health care. The New York City mayoral race is an intriguing element of the 2017 ConCon vote. It will be the most significant election held at the same time as the ConCon vote, as no statewide offices, state legislative seats or U.S. Senate/House seats will be on the ballot. With little else drawing voters to the polls in November 2017 the mayoral race may provide a disproportionate number of the statewide voters, with a strong possibility that they’ll be decidedly con-ConCon. A shrewd Republican mayoral candidate may be able to energize his/her campaign with a strong pro-ConCon push, especially if Mayor de Blasio opposes a ConCon. It’s a long way to November 2017, but the looming presidential election will likely set the stage for another unusual year in New York politics. * Update: A sharp-eyed reader notes that Mayor de Blasio appeared unfamiliar with, and disinclined toward, a ConCon when asked by Brian Lehrer on 10/6/16.